No business is too small for an online presence. A website and social media accounts increase a company’s exposure and interaction with customers, and company emails and network systems help organize and utilize customer and company data in ways that can be essential to success. Greater opportunities include greater risk though, and for any internet user – especially entrepreneurs - there are threats around every corner that you need to detect and defeat if you want to safeguard your business. There are a number of antivirus software providers for small businesses to choose from. How do you know which one is right for your business? In this guide, we'll take a look at how antivirus software works and who are the top 5 providers of this essential layer of security. Small businesses are becoming a bigger target every day, as hackers look for prey that lacks the massive security infrastructure of major corporations and government and defense agencies. According to research carried out by IBM in 2016, small businesses are targeted in 62 percent of all cyber-attacks launched every day. Many infections are the result of errors that let attackers in. Before investing in antivirus and security solutions, you need to first train employees in cyber self-defense – don’t click on any links or download anything that seems suspicious, don’t visit dodgy websites, don’t click on pop-up ads, and don’t use thumb drives whose origin you can’t vouch for are a few basic policies that should be implemented immediately in any business looking to stay safe. Once you’ve implemented operational security, it’s time to invest in a solid antivirus and security system that can stop threats that get by even the most cautious targets. Cyber security today works almost as a sort of cat-and-mouse game. Security companies track and catalogue new viruses every day around the clock, adding them to software databases, which are updated to tackle the new threat – until a new virus is deployed. There are two major areas in which antivirus software should be judged: how they protect the system in real time as files are saved, and their detection of viruses. There are a number of methods of threat detection, with signature-based detection traditionally one of the most common. Signature detection keeps a record of the malware in a database for future detection, though this can be sidestepped once hackers modify the viruses. Other methods, like sandbox detection and data mining, check a program’s actions and use algorithms to determine if they pose a threat. Today’s anti-virus software protects users from malware, Trojans, worms, and other threats - and you don’t need any IT experience or professionals to help install or manage it. Most of today’s anti-virus software can be managed from a central console – either on-site or in the cloud – allowing you to keep a handle on things no matter where you are. With today’s ease of operation, you should be able to easily find security software that even a novice can install, and which you can operate even if you’re far from the office. Today’s security software has been adapted to fit the variety of devices on the market today, including PCs, laptops, tablets, and smartphones. Some services can even track stolen devices and remotely wipe them of all data, keeping sensitive information out of the wrong hands in event of theft. 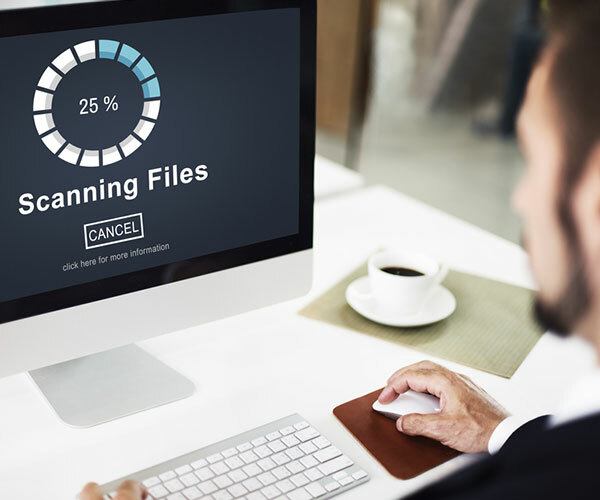 The typical small business security software plan is meant to be intuitive and easily adaptable to the business’ needs. Most software charges by device annually or monthly, with the operator able to add or subtract devices as needed. Typically the monthly fee per device drops as the term of service extends and the number of devices increases, so it may make better economic sense for you buy a yearly package rather than pay by month. One warning though - there can be billing issues. Some providers automatically renew their subscriptions without prior approval needed, and often require advance notice if the customer wants to cancel, potentially leading to unexpected costs after one has moved to a different security program. The market is also flooded with free antivirus software, which can be a solid way for users to test out the software before purchasing. As a long-term solution though, it typically makes more sense to invest in paid antivirus software, which provides more features and better protection, as well as round-the-clock customer service in most cases. Paid service can also be a lifesaver in an event of an infection, providing virus removal and clean-up, and trained representatives to walk you through the process – in some cases with a money-back guarantee if they can’t rid your system of the virus. Due to the extreme threat posed by cybercrime, it’s wise to invest the money needed to stay safe, especially considering how much you paid to get the company started in the first place. 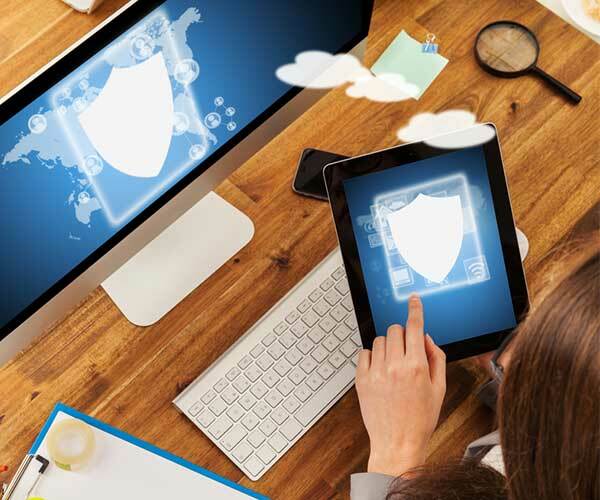 Today’s security software can supply users with online protection, including a built-in firewall that will keep out threats while online, as well as email protection that scans messages to filter out spam, spyware, and phishing attacks. In addition, antivirus software companies offer parental control options, to allow users to protect their children from dangerous content online. Simply put, you can find software to protect you from threats that reach your company online, and which also provide safeguards for your family at home. The best antivirus will also offer online protection to fight malware in real time. 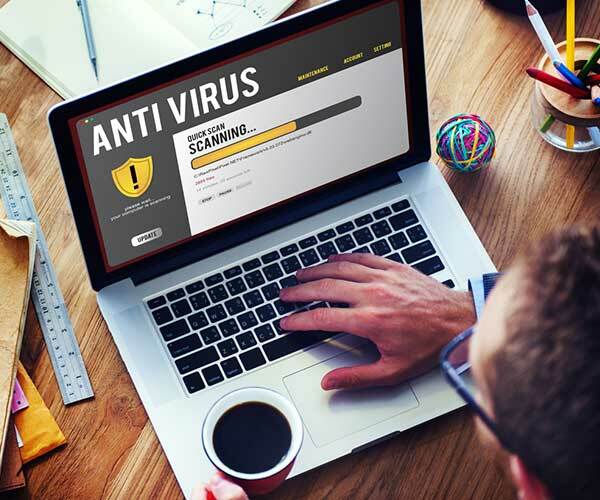 Many new viruses are more sophisticated than in the past so it’s recommended to use more than one program to help ensure no viruses slip through the cracks. On top of real-time scanners many of the best antivirus programs use pre-boot virus scanners to search for problems without interference, thus making it much more likely to be caught and removed. If pre-boot and real-time scanning fail to identify all viruses the final option is to do a clean install - which deletes everything from your hard drive. While this is obviously an extreme action to take, it is the best way to guarantee 100% that all viruses are removed. One headache often caused by antivirus software is “false positives”. This is when the software classifies something benign as a threat. If the program is setup to automatically quarantine or delete said files, it can cause real problems and potential loss of data or even network access if certain essential systems are red-flagged by the security software. Another common problem is that security software can slow down your computer’s performance. Make sure that your antivirus software is updated and that you’re only running one security software program at a time, so things don’t get sluggish. If performance speed is of paramount importance, look for a software provider known for being efficient, and easy on operating systems. If your data is stolen, hackers can hold it for ransom or use customers’ financial data to clean them out. A number of security software products offer encryption services, which automatically encrypt all files on the device’s hard drive and/or all data stored in the cloud so that even if it is compromised, you can keep it from being exploited. 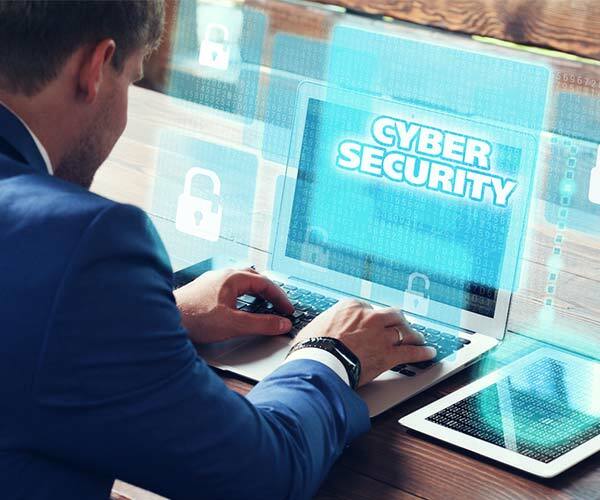 Though the world of cybercrime is constantly evolving, there are a number of industry leaders who can provide the right cybersecurity solutions for any small business. McAfee is known for having one of the widest varieties of products on the market, offering security solutions for everyone from individual users to small and large businesses. Owned by Intel, McAfee is an industry pioneer. They have repeatedly earned high marks for their easy-to-use interface and reliable customer service, which includes free, 24/7 technical support or chat for the duration of the subscription. Lab tests for McAfee don’t always give them the best scores when it comes to pure security performance. Their draw is for people looking for affordable and dependable anti-virus protection that is compatible on a wide range of devices including Mac OS, Windows 7, Windows 8, Windows 10, iOS, and Android, making them one of the more versatile products on the market. McAfee small business security is aimed at businesses that have up to 25 devices to secure, and has the flexibility to run on PCs, Macs, smartphones and tablets. Their pricing plan is affordable – starting at $79.99 for five PCs or Macs, with protection for an unlimited number of Android smartphones and tablets included in the price. McAfee small business security runs through a central control console that can be accessed from anywhere by way of the cloud, making it ideal for small business owners who can’t always be in the office, and need the flexibility to supervise security wherever they are. BullGuard is considered one of the easiest, most affordable antivirus software to use. It allows users to place all devices under a single license, with 24/7 customer support via live chat always a call away. It also features an active community forum that you can turn to for help and the antivirus support website is very simple to use. BullGuard has earned high marks for high speed and efficiency, and solid virus detection rates. Founded in 2001, the company recently added “Dojo by BullGuard”, which the company describes as “the best custom-built solution to protect WiFi enabled devices in the home”. In addition to the robust, multi-layered antivirus protection available on all BullGuard products, the company’s “BullGuard Premium Protection” offers a wide range of security features tailor-made to the threats individuals face online today. The package’s “identity protection” monitors the user’s personal details online 24/7, scanning the web to make sure no sensitive information like email, address, credit card numbers or the like are floating around online where they can be scooped up and exploited. This system also monitors children’s social media accounts, including private messages and photos, to safeguard them from predators, along with PC Tune UP, safe browsing, and blocking of unwanted applications. The software can be run on PC, Mac, or Android with a single license. This option is best suited to individuals or small business owners who are especially concerned about identity theft in addition to viruses - and who want to make sure that the security of their business is safeguarded not only by attacks sent to their hardware, but also by information that may be out there in the dark corners of the web, waiting to be used. An industry mainstay for decades, Norton antivirus is owned by Symantec, a giant in the software world. Norton sells security software for all types of users from individuals to small and large corporations, and offers a 60-day money back guarantee no questions asked. After the 60 days, Norton guarantees that they can rid devices of infections – or your money back. The software is known for being easy to use, install, and manage, allowing even novices to monitor their systems with just a few clicks. With highly competitive prices, ease of use, and some of the best customer service in the business, Norton is consistently rated a consumer favorite, even though their threat detection rates are not considered the top of their class. “Norton Small Business” is the company’s best offering for companies with less than 20 employees who need an effective, easy-to-use security system that can be operated without an IT department. Norton Small Business also includes security features for mobile devices. It will scan Android applications and SD memory cards for threats, and block calls and texts from suspect numbers. In addition, in the event a mobile device is stolen or misplaced, they can track and remotely wipe the device. Norton small business also offers a money-back guarantee saying that if they can’t rid your device of a malware infection, you get a full refund. Founded in Romania in 2001, Bitdefender has made its mark with some of the fastest, most cost-effective virus security on the market. These software packages are competitively priced, easy to use, and get up and running with a single, quick and easy installation. Bitdefender offers customer support by phone, e-mail, chat, or internet forum, and helpful information is accessible instantly by way of their support webpage. In addition, they offer a 30 day money back guarantee on all their products, no questions asked. Bitdefender’s Small Office Security is a product designed to protect Macs and Windows workstations or servers, for companies with up to 250 users. The company vows that the product will not slow down company computers, while still providing the best antimalware tech on the market. The system can be monitored by way of a web browser, meaning that it can be accessed anywhere, and with a user interface that doesn’t require serious technical know-how. It does not require servers or manual updates. The software also provides web filtering, and restricts user access to dangerous applications or websites. BitDefender’s “Endpoint Security Relay” is great for companies with low bandwidth, in that it can distribute updates internally - even if not all computers are connected to the internet. This Massachusetts-based cybersecurity software company has grown into a major player with over 300 million users and 250 thousand corporate clients worldwide, thanks to their fast and easy to use products, and top-notch detection rates and protection. Kaspersky’s dashboard is easily navigated even by beginners, and the software installation is one of the quickest on the market. Kaspersky’s products are slim and efficient, meaning they use up less space, and will slow down devices less than their competitors. They offer customer service that is readily available, though without the extensive money-back guarantees of some industry rivals. Kaspersky’s pricing is at the higher end of the spectrum, but the security it provides is top-of-the-line and easy to use. “Small Office Security” is Kaspersky’s product that is designed for businesses with between 5-45 computers, as well as some servers and mobile devices. It is compatible with Windows, Mac, and Android smartphones and tablets. Small Office Security features anti-cryptor capabilities which trigger automatic backup and restore if an attempt at malicious encryption is detected. It also offers extensive backup and encryption, as well as secure web and email activity, and remote wiping of stolen or lost devices. Kaspersky also prides themselves on “out of the box simplicity”, which should have security up and running in minutes without any complicated set up. Securing your business against cyberattacks can protect you from a career-destroying attack, or at the very least, costly cleanups and lost customer data. When choosing an antivirus software, you first must consider what your needs and that of your company are. Do you need a product best suited to only a handful of computers, or one built to safeguard dozens or hundreds? Are you most concerned about threats faced by employees while browsing the internet, or by malicious attacks sent to your company email, website, and servers? If you’re a tech novice who is easily intimidated by all things computer-related, it may make more sense to go with the company that has the easiest user interface and provides the very best customer service, so they can walk you through any incidents that may arise. Pricing can also be a concern - especially for a small business - but it is an investment that is essential to the well-being of your company.